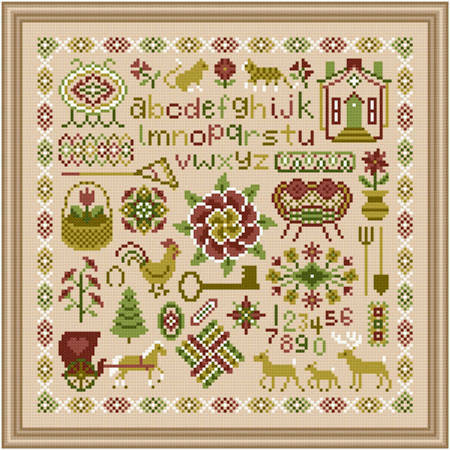 Shades of Yesteryear cross stitch pattern... Sampler created with different images and designs, reminiscent of stitching of yesteryear. A traditional alphabet and numbers are included. Limited colors and all whole stitches are used.